Delegates at this year’s AusIMM North West Queensland Branch annual mining conference in Cloncurry had a handout with a difference to take home thanks to local mining historian Barry Merrick. Mr Merrick digitised five volumes on the history of the Cloncurry gold and mineral field from 1867 to 1922 to present as eBooks. They featured reports from the district’s mines, mining wardens and inspectors, as well as many historic photos. 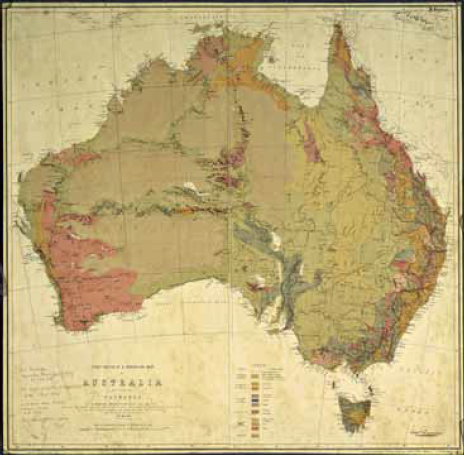 Also included were the first geological map of Australia – dated 1873, and maps of the Cloncurry mineral fields from 1875, 1907 and 1916. Mr Merrick said it had taken four months of work to compile the information. About 125 people attended the mining conference – the best turnout to date, according to branch chair Lucas Ljubicic. Pete Nichols and James Bartlett from Ernest Henry Mining took the award for best presentation at the event.